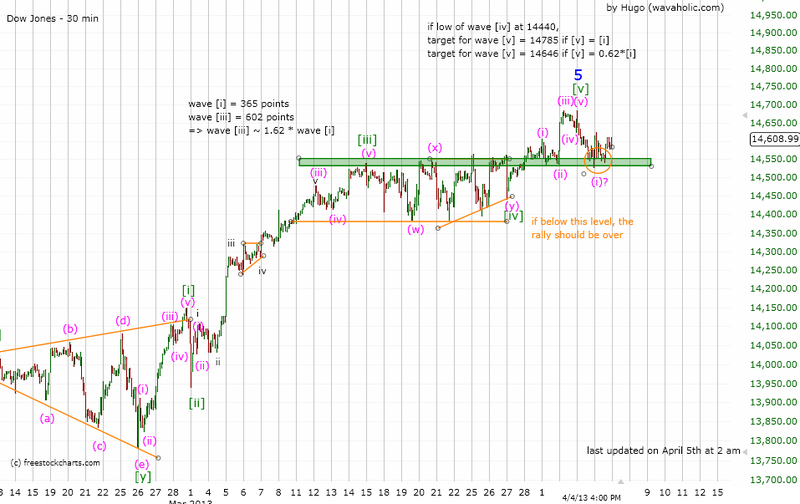 The Dow hit the first support area and consolidated just above it yesterday. If 14550ish breaks, the next objective should be 14400ish. Please remember that the count above is still very speculative until we decline below 14400ish.